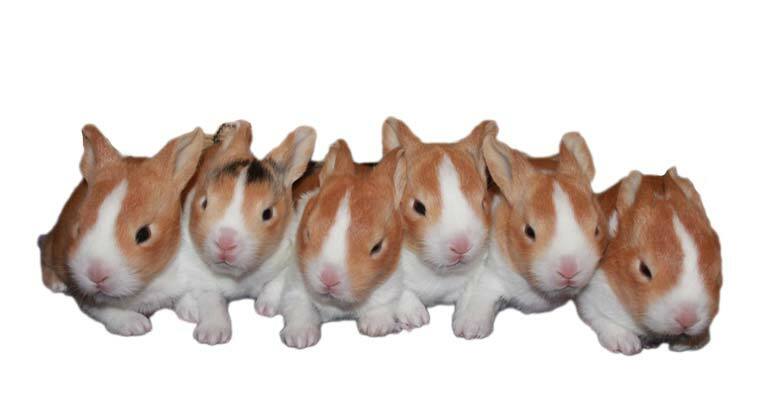 Learn more about Dutch Rabbits! Originally, Dutch rabbits are descendants of the Petite Brabancon, which originated from the Brabant regions of Flanders, then were heavily bred in the 19th Century for the purpose of meat production. In the 1830’s, when they appeared in Britain, they often had white markings. 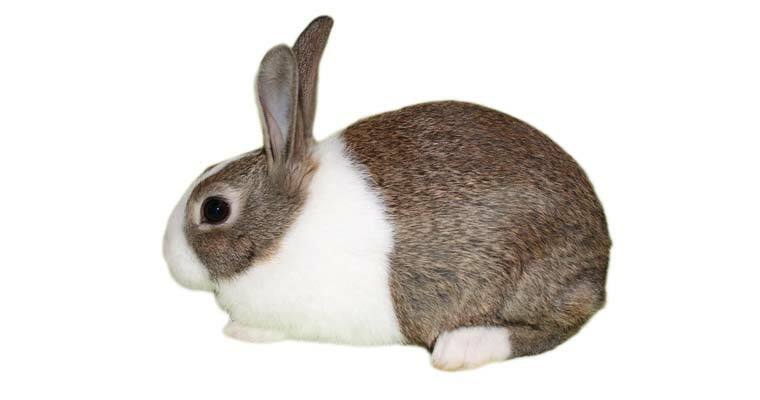 English fanciers selected the best marked of those rabbits, and hence we have what is known today as the Dutch rabbit. Additionally, the original lines primarily had black base coats; however other colors have been introduced into the breed. Today, they are among the top ten most popular breeds, worldwide. 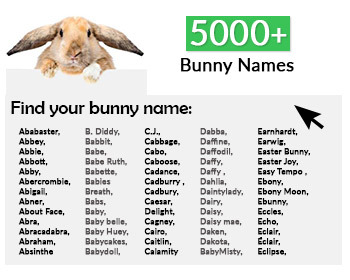 What is a Dutch Rabbit? 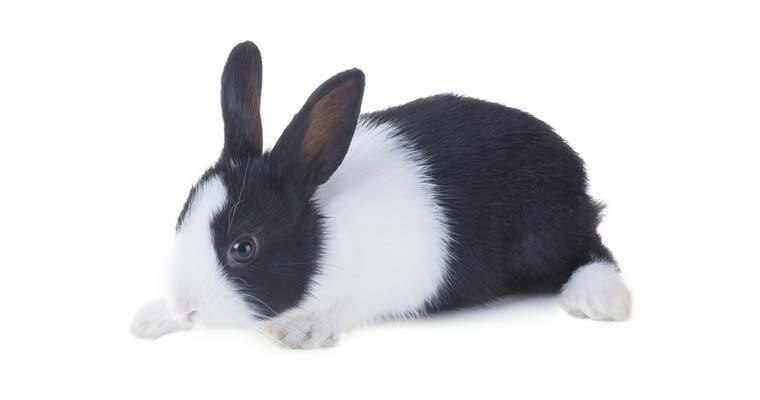 The Dutch rabbit is a small to medium sized rabbit, typically weighing around 4 pounds (2kg) with a particularly marked color pattern. Essentially, they are a white rabbit, with a colored base coat. They have well-rounded, compact bodies, with short, strong legs, and a broad head with full cheeks, and short, erect ears. A correctly marked exhibit will have white markings with a white blaze, front and back feet with a distinctive white line meeting evenly with a single colored fur from the mid-body to the tail. The head should have an inverted “V” design of white fur over the nose, muzzle, and up towards the eyes; with the colored fur surrounding the cheeks, eyes, and ears. Don’t you love this breed? Furthermore, they have a very gentle, calm, easy-going disposition, and they thrive on attention and being cuddled. They are very popular as children’s pets and they tend to be excellent with children who are 10+ years of age, or otherwise with adult supervision for those younger than this age. They also have a typical life-span of 5 to 8 years. How do I care for my Dutch Rabbit? This wonderful breed is well suited for a cage size of 24” x 24”. Because of their size, being easy to handle, and their appreciation of your affection makes them relatively easy to groom and care for. As it is with all breeds, the Dutch should have a regular basic health exam to check ears, eyes, nose, teeth, feet, and over-all body inspection to ensure consistent good health, as well as monthly nail trimmings. They do well on a daily diet of approximately a cup of high-quality pellets, fresh water, and fresh timothy or orchard grass hay. In addition to this, the more attention that they are given, the happier they will be. Is my Dutch Rabbit show quality? 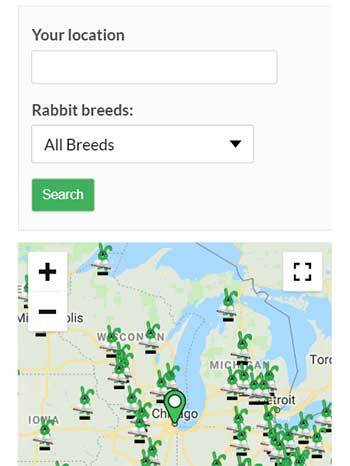 With Dutch being known as “the fancy rabbit”, the true test of patience will often come down to the goal of obtaining perfect color markings/patterns with this breed. More often than not, where color markings are such an important factor in this breeds’ identification, it is commonly said that “if something can go wrong, it will.” Even the slightest imperfection in the pattern of coat color will be counted as a fault, or even a disqualification on a show table. 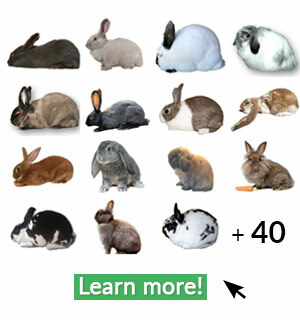 In addition to the difficulty in obtaining the perfect marking, the rabbit must also meet other qualifications, such as weight, body size, ear and neck size, as well as other factors. However, if you enjoy such a challenge, then this would be a great breed for you to raise for exhibition. The best advice to be given, as it is with any show-quality animal, is that you may save yourself a lot of work by being very selective, and start with the very best, highest quality that you can afford to get your hands on. You might also like: 5 reasons why you should have a Holland Lop! TYPE: Well-balanced body with the color of fur & eyes given more attention; imperfect markings are to be avoided. BODY: Elegantly balanced throughout compact body with well-rounded back and nicely curved rise peaking at the hip. HEAD: Full & round, with narrow width of space between back of head and shoulder region. EARS: Erect, stocky, and well-balanced to rest of body size. BLAZE: Triangle shaped white area covering muzzle, going up to ears and eyes. CHEEKS: colored area of the head/face – not to be ragged or misaligned. Cheeks should meet but not mix into the whisker area, following the jawbone until meeting at the neckline. Obtaining perfect cheek markings is one of the most difficult achievements to acquire. NECK: the color behind the ears is to be a white triangular shape, free from any distractions to/from the neck and ear color. HAIRLINE: Thin line of hair going from top of blaze, between ears, dividing the cheeks and ears, connecting the blaze to the white collar behind the ears. Obtaining this hairline is a very difficult achievement . SHAPE: (type & condition) – compact, cobby, rounded; Ideal weight of seniors should be 2.041 – 2.26kg (4 ½ – 5lb); hard, firm body without sagging flesh or skin, & a shiny coat, with bright eyes, lively, alert.